Mike Hauck is a licensed real estate broker and leads the Accord Commercial Team at HJN Team Real Estate. As a licensed attorney, Mike spent 17 years practicing law full time in Sioux Falls, specializing in commercial transactions and litigation and dealing extensively with legal issues related to real estate development, financing, sales and leasing . In January of 2007, Mike took his knowledge of the business world into the arena of commercial real estate. As a respected attorney, Mike has a reputation for being competent, innovative, and generally fun to be around, which has followed him into his role as a broker. He has made it a priority to maintain a high level of integrity, accountability and success. Mike continues to view himself as an advisor to his clients, and he gives his honest opinion on properties and business opportunities, letting clients know whether to proceed joyfully, cautiously, or run for the hills. Mike always keeps a positive attitude, which was probably part of the training when he was Charlie Coyote at the University of South Dakota, where he earned his degree in business administration with an accounting major in 1986. Following college, Mike attended law school at Hamline University in St. Paul, Minnesota. After graduating first in his class at Hamline in 1989, Mike and his family moved back home to Sioux Falls where Mike began his private legal practice. Mike has been a fixture in the Sioux Falls business community for most of his adult life, and his goals for the future revolve around enriching the community he calls home. 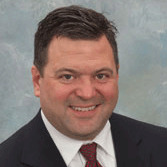 His serves as an Ambassador for the Sioux Falls Chamber of Commerce, has served as the Chair of the Governmental Relations Committee of the Real Estate Association of the Sioux Empire as well as a State Director with the South Dakota Association of Realtors, and is a member of the Sioux Falls Sales and Marketing Executives. Mike is also the past president of the Sioux Falls Area Crimestoppers organization and the Sioux Falls Area Court Appointed Special Advocates (CASA), a charitable organization that advocates for abused and neglected children. Mike intends to build the Accord Commercial Team at HJN Team Real Estate based on superior service to clients, steadfast integrity, and long-term relationships founded on trust, friendship and good humor. Although Mike technically spends the majority of his time working, it's difficult to tell from his perpetual smile. He truly loves his career, and it shows. When he is not working, Mike enjoys spending time socializing with friends, hunting, reading, listening to music, photography, riding his bike on the beautiful bike trails in Sioux Falls and paddling his kayak.